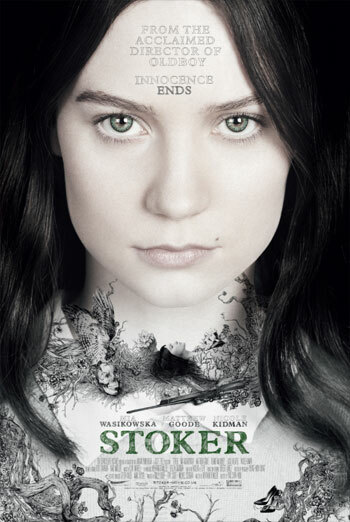 STOKER is a thriller in which a young woman's mysterious uncle comes to stay with her and her mothe following her father's death. A young woman masturbates in the shower as she recalls a violent killing she has witnessed. There are scenes of strong violence, including a shooting that results in a very large splatter of blood and a brutal killing in which a man is repeatedly beaten over the head with a rock as he sits in a car. The film deals with adult themes, including at times an incestuous desire between a woman and her uncle. There is strong threat, including a scene in which a woman realises she is about to be killed and a sequence leading up to the murder of a child by being buried alive. There is also some moderate bad language.